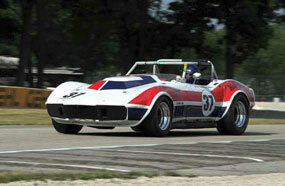 Road America is the second jewel of the big three in national vintage racing. 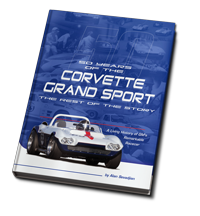 The first is the Mitty, then this July race at Road America, and finally the SVRA U.S. Vintage Grand Prix at Watkins Glen in September. 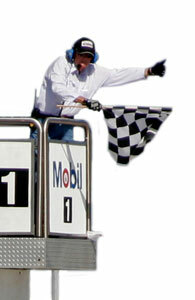 Edward and the Duntov team set out in 2012 to win them all. This year for Road America we brought Edward's car, Clair Schwendeman's #37 68 Corvette and Jodie O'Donnell's #46 69 Corvette. 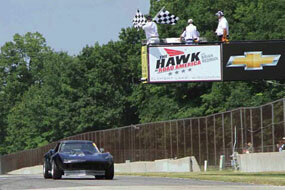 This was Clair's third trip to Road America, having had little success in his previous two races here. 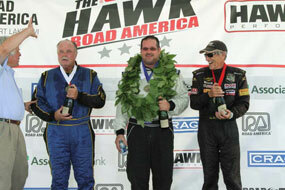 Jodie on the other hand was a veteran of several races at Road America and had finished on the podium last year. 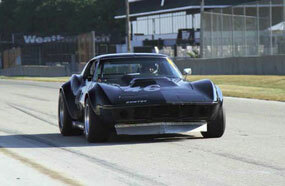 Jodie's black car had been in the Duntov shop for the last several months and sported a new suspension package. Jodie tested the car before the race and pronounced it "way better"! The black #38 car finally got its engine back; just in time for Road America. The engine had been out of the car since the Mitty for development work, but that work didn't exactly go as planned. The changes we hoped might bring us more power didn't really do anything but make the power curve smoother. Drivability is super important, for sure - right up there with horsepower and reliability. This smoothness lowers lap times, as the tires never break traction on acceleration. We wanted more power, but we got more smoothness but and, as it turned out, zero reliability! 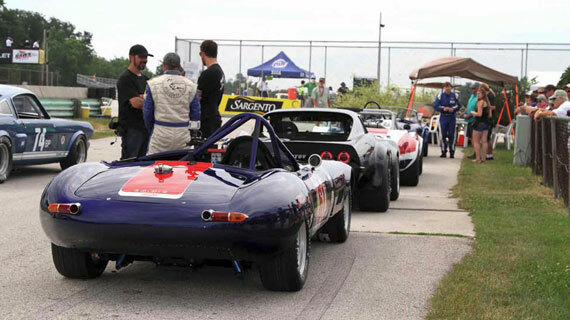 Jack Woehrle, the Dean of scrutineers in vintage racing, is the head of tech for all Road America vintage events. This year Jack was especially proactive with special inspections for all the "fast" Corvettes in Group 6. We presented the #38 car at tech and were told to take it back to the trailer, disable the valves in one cylinder and await a special inspection by Jack. Jack "pumped" all our cars and a half dozen other Group 6 Corvettes and discovered that the #38 car had the smallest displacement of any of the Group 6 big blocks he checked. Everyone was within the proper limits, and the log books were noted. Track time is limited at the International Challenge to one practice session and two qualifying sessions prior to a Saturday Qualifying Race. The finishing positions from the Qualifying Race typically determine how the cars will be gridded for the Feature Race, but at Road America it is the fastest lap each car runs in the Qualifying Race that determines the starting position in the Feature Race. You don't have to finish, all you have to do is get in your one hot lap, but of course it is hard to quit when a race is going on if you car is willing! Clair missed the first practice session on Friday morning due to a flywheel that had shed several teeth. We got him back on track for the first qualifying session that afternoon and he ran fifth, with Jody on the pole. On Saturday morning's second qualifying session, Clair was second to Jody, so Duntov appeared to have the top two spots for the qualifying race. Clair for the first time out qualified Larry Ligas, which was a milestone! Unfortunately when the two qualifying sessions were combined, Clair would be starting the Qualifying Race fourth. The plan was for Clair to tuck in behind Jody and keep Larry to the outside through turn 1, but Larry didn't cooperate and it was Jody, Larry and Clair after the first turn. Eventually Larry retired due to a mechanical problem, so the finishing order was Jody first and Clair second — Duntov still 1 and 2! After Clair dropped out, there was no one close to Jodie at the checker. With the black 38 car out of commission, Jody came through for the Duntov team by winning the second jewel of vintage racing's Triple Crown! His lap times were almost two seconds faster than they were last year, and that was the difference between a podium finish in 2011 and a win in 2012.